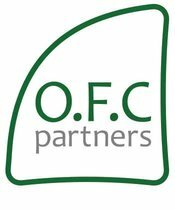 OFC Partners are delighted to be representing an up-and-coming, entrepreneurial fiduciary company who have developed an excellent reputation both within the Jersey market and on the international stage. As part of their overall business strategy, set by their inspirational Head of Funds, a key focus is to build out their Fund Administration business. As an integral part of their Fund services team, you will be responsible for assisting in the management of a team of proficient and dedicated administrators. In addition to your managerial responsibilities – you will have day to day involvement in running a portfolio of clients split across various fund specialisms. Your relationship management skills will be used to enhance and develop client relationships across the board. You will be a qualified (ICSA / ACCA / ACA) funds professional with a passion for joining a business as they increase in size both from a revenue and headcount perspective. Experience gained in real estate, private equity or other specialist funds will be considered! You will be rewarded with the opportunity to join a business which is at a critical point in their expansion, gain international travel and secure an excellent remuneration package. Please do get in touch with us via the application process, or if you would like to chat through before applying; get in touch directly on 07797 918 884.